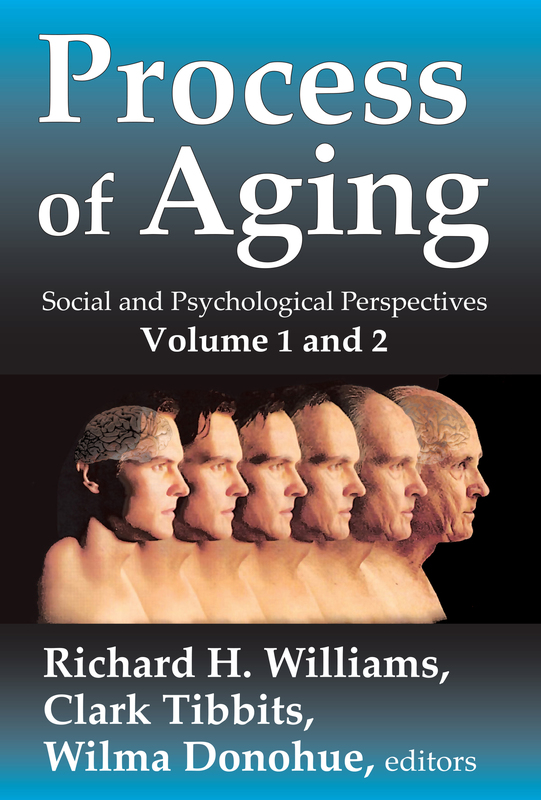 Processes of Aging: Social and Psychological Perspectives is based on a monumental series of studies on the psychological and social aspects of aging in relation to mental health. This effort gives scientists from North America and Europe an opportunity to explore the concepts, methodological problems, and conclusions of their researches in the rapidly growing field of gerontology. Much work has been done in an attempt to present this material in sequential and systematic fashion. Original work of sixty-six research workers from twelve countries is represented in this two-volume set. They offer an inventory of principal fields of gerontological research, in advanced countries. Human aging, in its many ramifications, is becoming one of the major areas of research interest among an increasing number of students in the biological, behavioral, and social sciences. Although the phenomena of aging were largely overlooked as subject matter for research during the early stages in the development of all basic sciences, it was inevitable that students would eventually become curious about the final processes of maturation. Events of recent years have hastened the need for social action on behalf of older people and, consequently, the need for scientific knowledge about their characteristics, circumstances, and requirements. Processes of Aging: Social and Psychological Perspectives will be of interest to research workers, teachers, and advanced students concerned with the psychological, psychiatric, psychosocial, and socioeconomic aspects of aging. Many of the theoretical and analytical discussions and the specific studies offer guidance for top-level planners and policy administrators in public agencies and voluntary organizations. This volume is highly sensitive to older people as such: how they feel about themselves and the world, and in the way they behave in relation to others. It is must reading in the health and welfare of aging.